The Planning department is open to the public Monday through Thursday from 8:00 -5:00 pm, and Fridays from 8:00 am – 12 noon. On Friday afternoons, staff will be focusing on processing applications and general administrative tasks. Public counter hours are intended for dropping off and submitting applications, speaking with planning staff, checking on the status of a project, and obtaining general information about the planning process. For detailed questions about a specific property or potential project, we recommend calling our office at 254-750-5650 to schedule an appointment with a planner. The Planning Services Department administers zoning, land use, and subdivision regulations to ensure the orderly, safe, and responsible development of Waco in accordance with the city’s Comprehensive Plan. The department assists policy makers, property owners, developers, and citizens in regard to zoning and development, and provides information to the public regarding census and demographic information, and development trends and impacts. Planning Services staff provides support to the City Council, Plan Commission, and Board of Adjustment. Information on each of these boards and future meetings, public hearings, and agendas can be found on here. The Planning Department provides many services including zoning and development review and comprehensive and long-range planning. Planners help shape the physical development of the city. Our department is responsible for reviewing development applications for compliance with the zoning ordinance, subdivision ordinance, special overlay districts, historic preservation requirements, and relevant design guidelines. We are also responsible for ensuring compliance with the zoning ordinance. Our zoning inspector responds to complaints of alleged zoning violations and initiates fair and unbiased enforcement action to correct violations and maintain neighborhood livability. Planners also develop policy, gather data and analyze trends, initiate and develop area plans and other special studies, and implement the vision put forth in the city’s Comprehensive Plan. Long-range planning provides an opportunity for the city, in partnership with its citizens, to shape the neighborhoods where we live, work or own property, through consideration of land use, zoning, transportation, and urban design elements. The Mae Jackson Development Center excited to bring you a new way of doing business with the launch of a new software system. 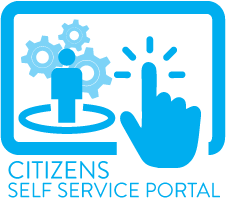 Log in today to our customer system called Citizen Self Service which will enable you to create a new account, to apply for all permits and applications, including a way to track and pay online. Stay tuned for updates, tutorials, and new notifications and resources.